Melbourne company Fuwa K-Hitch is right at the centre of a global network of expert axle and suspension businesses that has set out to revolutionise the transport equipment market. Fuwa K-Hitch’s (FKH) long-standing involvement with Chinese manufacturing giant Fuwa has not only catapulted the company into the highest echelon of the Australian axle and suspension market over the past decade, but also helped it build an international support network that is unique in the transport equipment scene. 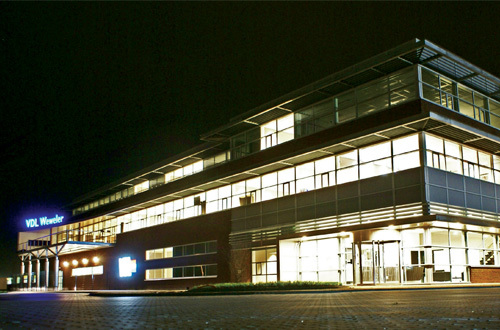 Via Fuwa, FKH is connected to US axle and suspension expert AXN as well as European counterpart Valx, allowing it to grow and nurture what could be the most complex axle and suspension knowledge base in the world. 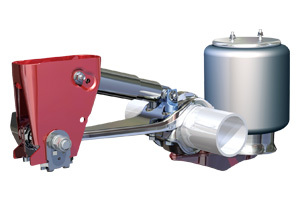 Also part of the Fuwa support network is innovative Dutch brand, VDL Weweler, which has developed a unique Modular Bolt-On Suspension (MBS) that continues to set the FKH, AXN and Valx triad apart in the trucking scene. The key to VDL Weweler’s MBS system – available in Australia exclusively via FKH – is a parabolic trailing arm that acts as an integrated roll stabiliser and guiding arm for the axle and is manufactured in a new, world-unique facility in The Netherlands. Chris explains that the wide, weld-free clamping area, combined with the small diameter pivot bushing of the suspension and Fuwa’s unique 146mm axle beam, will lead to “superb” roll stiffness and stability – particularly for loads with a high center of gravity. The result is less stress on the axle, and with it an increase in service life. Another unique selling point is that the suspension is ‘locked’ in position by a groove in the axle beam, providing a “high degree of modularity” in spring track, ride height and offset, as Chris puts it. “By removing the axle seat, there is no need for welding in the axle. In combination with the in-built clamping area, Fuwa’s unique axle design and leading wheel end technology, this realignment-free, non-welded solution will provide exceptional roll stiffness while putting less stress on the axle. 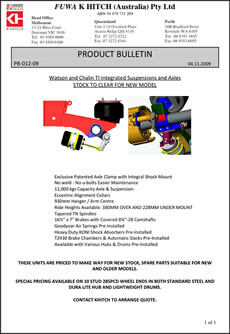 It’s the ideal package for on highway vehicles, particularly PBS equipment.